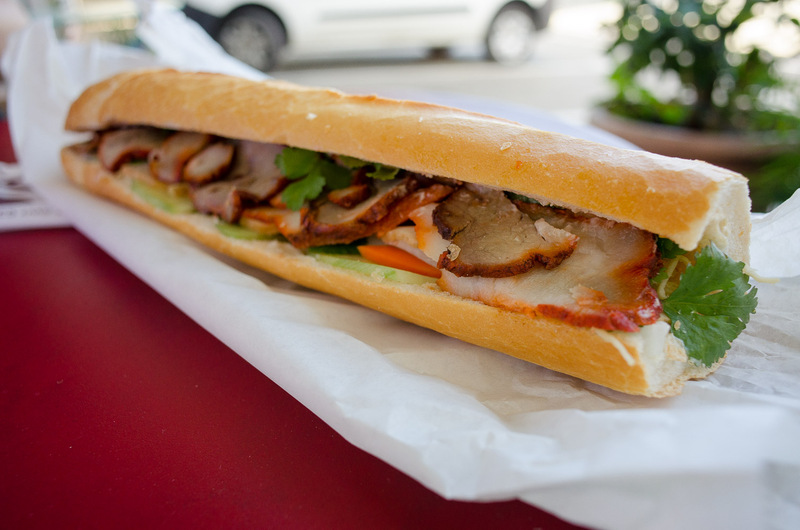 Deep in the heart of Noumea we can still sniff out a spot selling our favourite sandwich, the Vietnamese banh mi. It takes a special dedication to a sandwich in order to side step away from French and Pacific fare toward the humble pork roll. 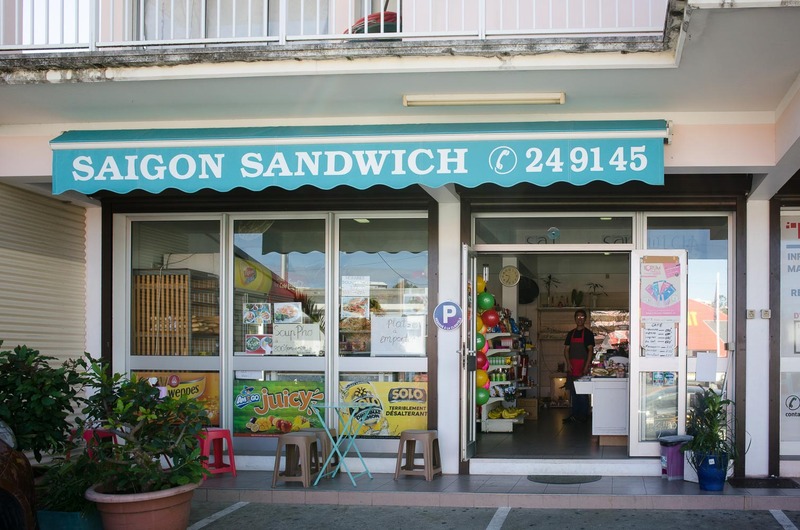 While the mix of Vietnamese migration and an abundance of quality baguettes might be a fusion no-brainer, finding classic pork rolls in Noumea was a little difficult. Walking down through Faubourg Blanchot, we saw this new to us store and had to give it a burl. It's the only dedicated pork roll store we've seen in the town. And it turned out to be a beauty. 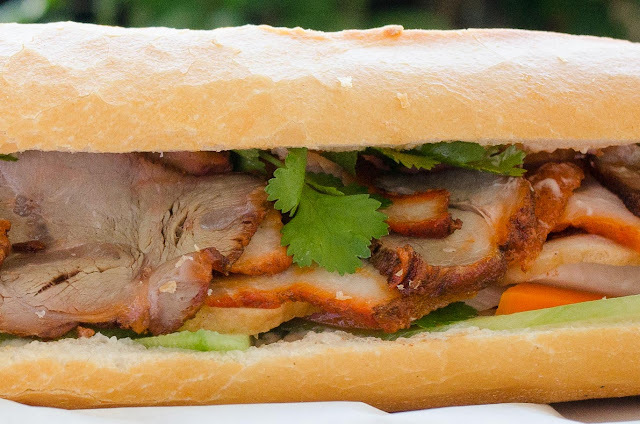 Layers of roast pork, fresh coriander and some crisp lettuce for crunch. The baguette was fresh that morning crisp and half an arm length long. Considering greenery is expensive, we were happy to see any kind of lettuce or hers inside. Some pickled carrots added the necessary balance of vinegar sour to the sweetly char sui style pork. The fare doesn't stop at rolls, their pho was a beauty as well, good broth and beef mix and the noodles just right. 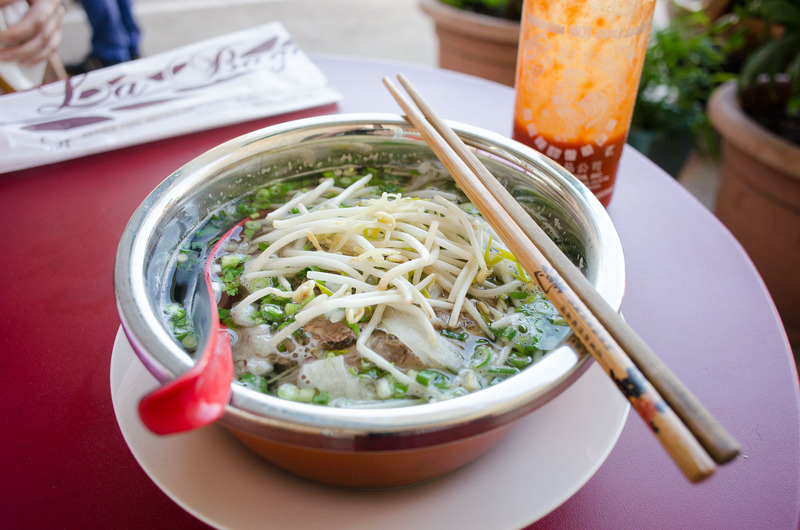 Sriracha for heat, bean sprouts for crunch. 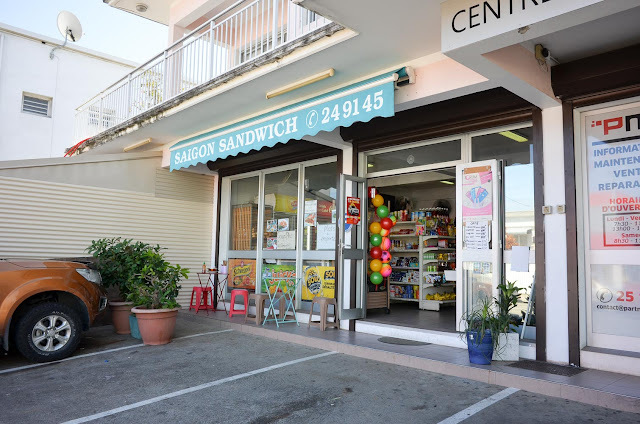 Saigon Sandwich is at 69 Route Du Port Despointes, Faubourg Blanchot in downtown Nouméa. Head down the hill from town past the old style houses toward the water for a stroll and roll.